Today was the best day, but it was also maybe one of the hardest (although the hospitalero here in Deba just told us that tomorrow will be much harder than today, oh boy). Last night, Elissa, Eva, Nia and I were discussing today’s walk, and strategizing about distances and stopping points. 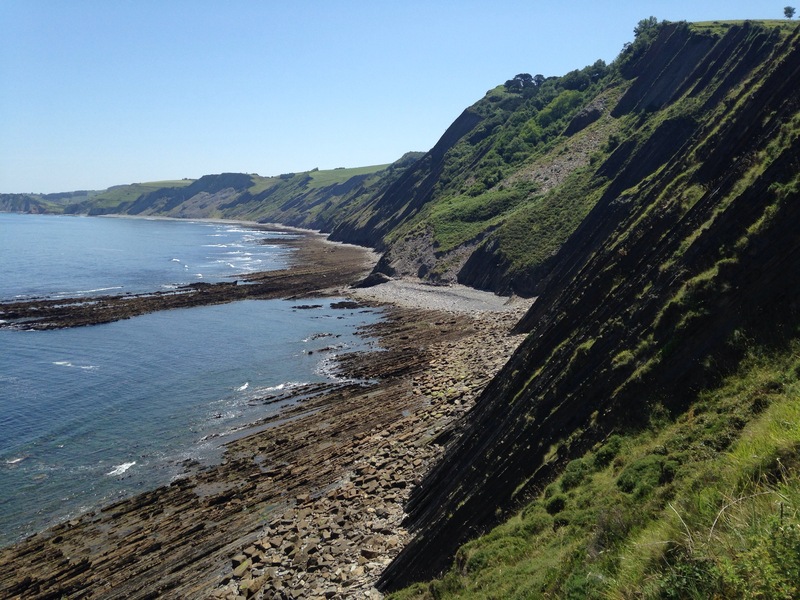 We were told that there were two options: walking to Zumaia (17km) or to Deba (30km). The others were up for a shorter day, and for good reason: to rest aching bodies, to slow down and explore the towns. But after a 14km day, I just didn’t want another short day to follow. 30km is a lot for a third day, but I was trusting my experience last year and how strong I felt throughout the Camino. I trusted that a 30km day this early would be no problem. And you know, I don’t think it would have been a problem if I hadn’t decided to take an alternate and strenuous route for the last 7kms. What is it with me and taking the alternate path? Last year it was often to get away from the crowds on the Frances, but this year I don’t need to do that. This year, I think, is all about the beauty. And oh man was today beautiful. 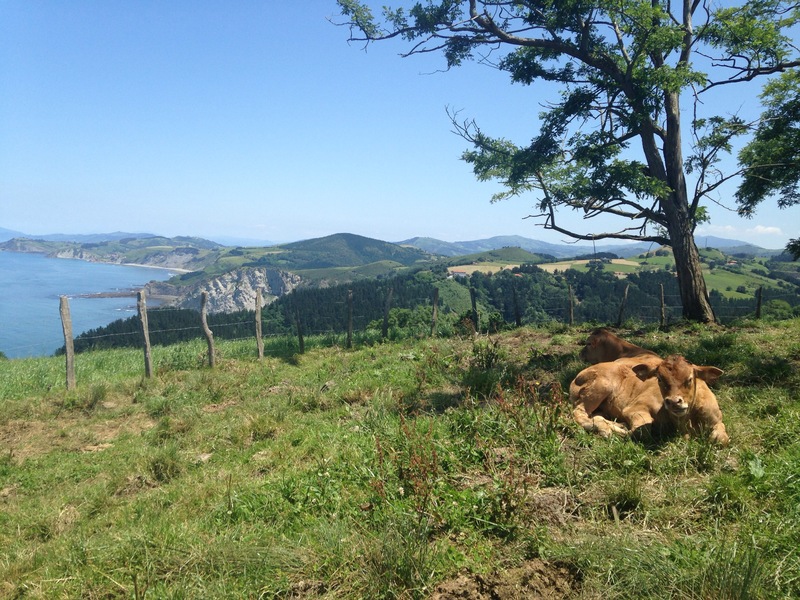 For 85% of my walk I was convinced that, aside from the first day walking through the Pyrenees on the Frances, this was my very favorite Camino day. And maybe after I forget the pain of the last few kilometers, I’ll still think that. So far, this Camino is difficult, but it’s like I forget about having had to climb straight up a pile of rocks the instant blue water appears. This coast is beautiful, and for much of today I was walking on pathways high above the roads and towns, with a view that was almost nothing but green fields and blue water. But then I would look to my left and often see rolling mountains- both views were incredible. I didn’t see a single pilgrim on today’s walk, and I was out from 6:30am to 4:00pm. And that, too, was pretty great. There were lots of locals out enjoying the trails so I wasn’t completely alone, but somehow it felt a little more adventurous to not be clustered in a group of pilgrims. I felt like a wanderer, a roamer. But I made it to Deba and as I entered the city a man directed me to where I had to go: down two elevators, to the tourism office and if that is closed to the police station to get the key for the albergue which is in the train station. Confusing? You bet. But I found my albergue too, needing to only ask one person for directions, and my lodging for the night is indeed in the train station (the albergue is on one side of the building, and out the bathroom window you can see the people down below, waiting for their trains. This is a taunting situation, for pilgrims to be housed in a train station: we watch the train to Bilbao pull up and we realize that an hour’s train journey will take us 3 days). I’ve done nothing more tonight than sit at a picnic table outside of the station, and the others sitting with me were just as tired. We split a bottle of cider and as soon as we were finished Iria asked, “Does this mean the night is officially over?” It was 9pm and the sky was still a bright blue but we all eagerly hobbled inside to get ready for bed. Tomorrow is going to be another hard day- even harder because there are no towns or villages to pass through where we can stop for a rest or a bite to eat. This means that I need to find an open bar in the morning to have coffee before I go! My morning coffee is still one of the biggest priorities of my days. I feel like I’m really beginning to get into this Camino, to understand how it is similar to the Frances but how it differs. When I walk I feel essentially the same as I did last year, and already there’s a happiness that is spreading through me that I recognize from last year’s walk. But I feel more tired than I ever did last year, and I don’t feel the same kind of energy from the other pilgrims. This may change, and soon, but in many ways, for now, this is a quiet pilgrimage. Peaceful. I so look forward in reading your blogs. Keep it up, Nadine! That chapel totally looks worth the stop and resulting confusion. 🙂 I love that you found sea glass. I love imagining all of you convening each day to determine where to rendezvous at the end of the day. I love that you get to walk alone too. You’re living the name of your blog – single step. One at a time will take you far. Thinking of you and so happy to see that the fair weather continues! Buen camino! How beautiful this is. 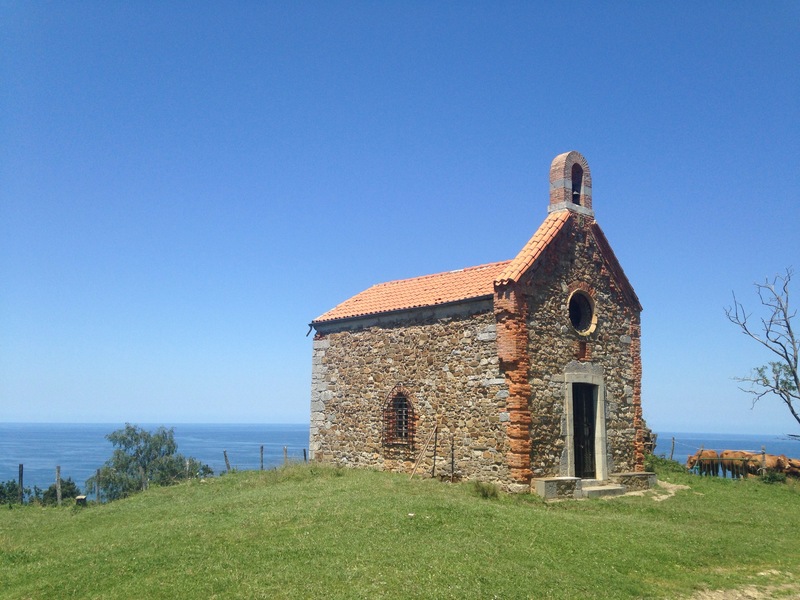 The scenery looks similar to our Wild Coast in SA, or the Otter Trail in the Eastern Cape but there you have the Camino experience – pilgrims, albergues, beautiful villages and churches and safety! 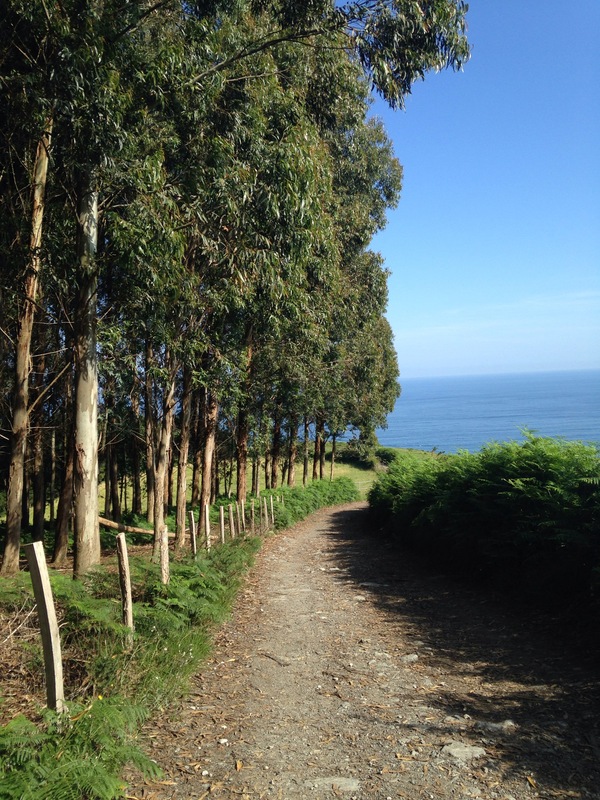 I also am worried that one day, when I do another Camino, that it won’t match up to the first time (Camino Frances 2014) but perhaps it doesn’t have to. I am loving following your blog, keep it up courageous lady! I just got into Estella. Too many people on the trail. I enjoy developing relationships, but envy your solitude. Maybe, I’ll walk your rout next year. Be careful and may God Bless you and your journey! 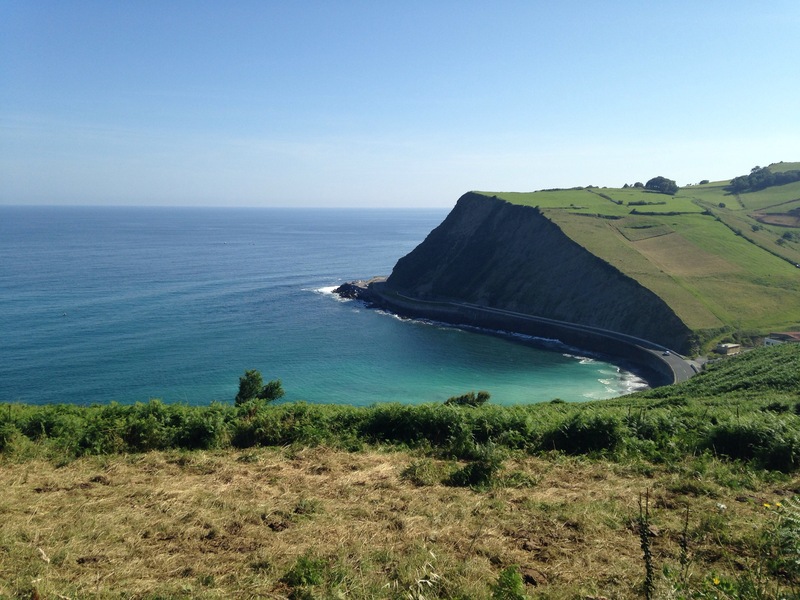 Thanks for sharing your thoughts and great photos of the Camino del Norte. I heard it’s more rugged and less crowded. The views of the water are stunning and make it “vale la pena”, no? I would like to walk part of the Norte for my 2nd camino, so I will see what stage looks best for my timeframe. I appreciate your honesty and details, like where to find your coffee fix. 🙂 I’m with you on the trains being tempting. Trains are wonderful and could give you a break when you need it. Keep up the great posts! Buen camino. Very nice Nadine. I’m enjoying your accounting of your Camino. Ultreia my friend! well done Nadine! You should give yourself more credit. You might me more tired, because this path is a bit more difficult….there are a lot of ups and downs. I hope you have managed the next route well. 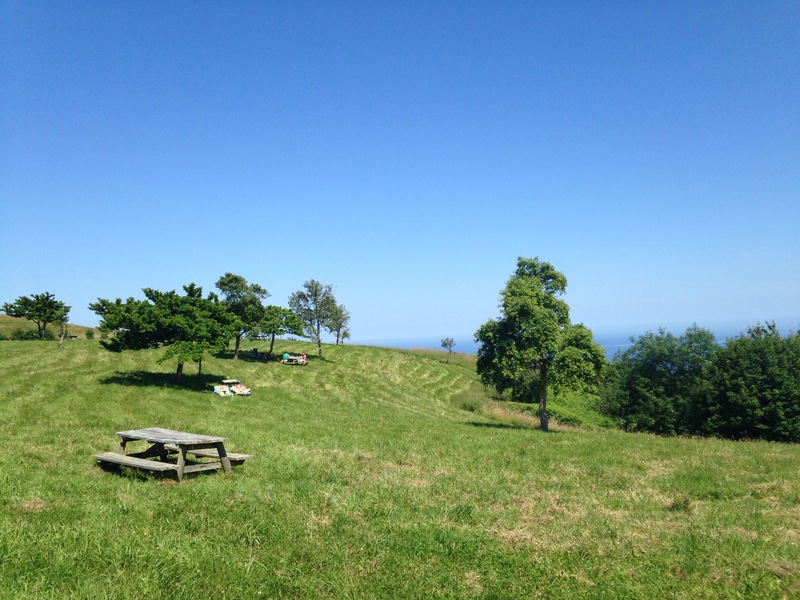 It was quite hard for me the day after Deba. It was raining cats and dogs and on top of not having a place to stop, there was not even a dry place to sit down. I hope you had better luck with the weather. 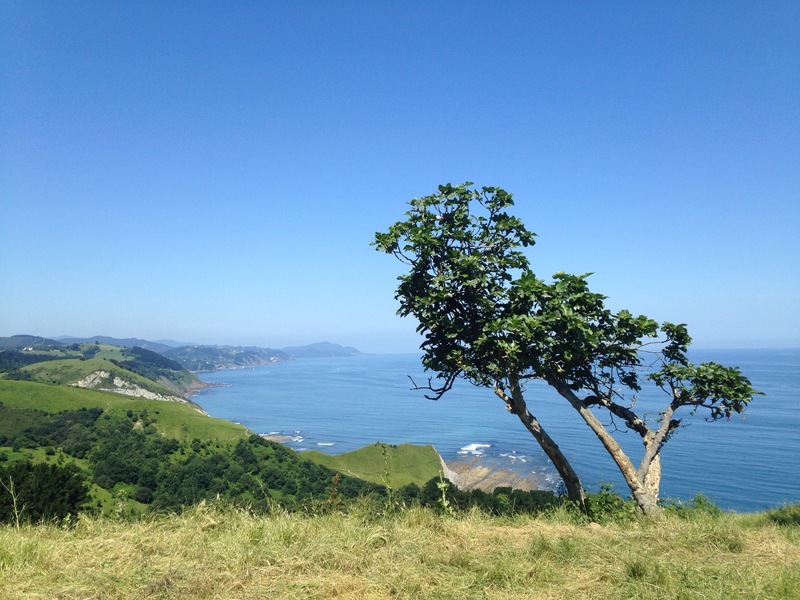 Maybe you made it to the monastery – which was one of the most interesting days on my camino del norte. How are the albergues? Are they full? I walked last August – the main season. The albergue in Deba was full by 3pm at that time. I was lucky and got onje of the last few beds. I’m glad that you are posting so many updates and photos. I love following along on your journey. And those pictures are amazing! Truly breathtaking. Thank you Nicole!! It makes me happy that you’re reading! I’ve already taken way more photos than I know what to do with, but so many of these days are so beautiful! It’s incredible! I am so in awe of your determination to keep writing on top of all the hard walking you’ve done. I love your generosity in sharing your camino with us. And it is totally worth it. 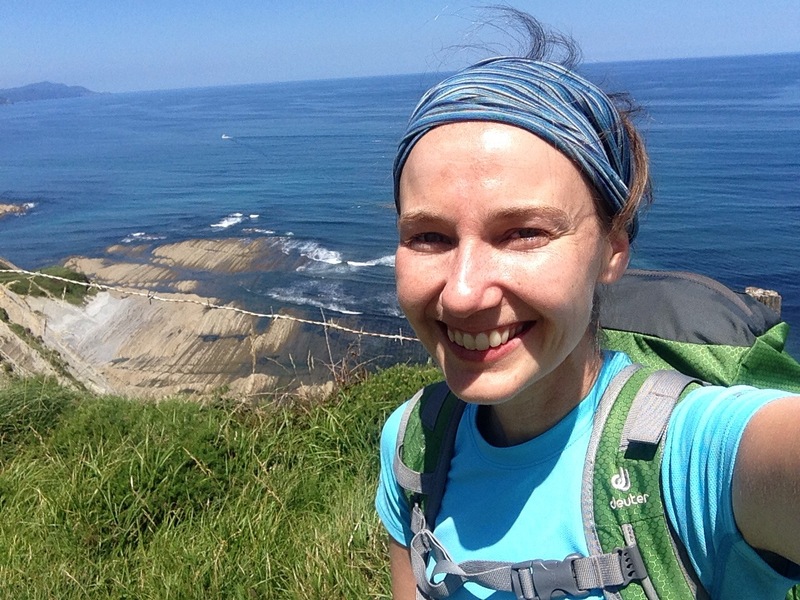 I’m now starting to catch up on your posts – and already the Camino itch that always is at the back of my mind is firmly at the forefront again! The Norte looks amazing!